I had no injuries, my training had gone really well and I had spent hours and hours preparing my drop bags and choosing the right kit. I taped my toes up and had lubed everywhere so thoroughly that when I went to use the portaloo before the start of the race, I’d almost slid into the hole. So my excuse for dropping out of the Thames Path 100 at checkpoint 1, 12 miles into the race? My complete inability to keep any food or water in my body. Despite already eating 6 (my complete stock for the TP100) Imodium tablets, bad things were happening. Every time I took a sip of water, I had to run and find a loo. I couldn’t get food down. This wasn’t just an upset tummy, this was a furious tummy. I was having visions of shrivelling up like a raisin from dehydration. 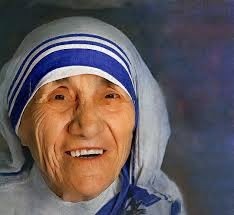 The face of mother Teresa, the vision of Scott Jurek but the toilet habits of a 10 week old puppy. All that preparation and training unravelled in a moment. I couldn’t push and bully myself through 100 miles of not being able to eat or drink. But it made it an easy decision. No agonising over what to do. But gutted. I felt truly gutted. I knew that there was the possibility of a Did Not Finish at a race of this length but didn’t expect it to apply to me. Not arrogance, just optimism and high expectations. I didn’t expect to come into work the week after NOT having achieved a belt buckle. I run. It’s what I do. Not this day. To drop was an easy choice, but not an easy reconciliation. I’m going over it and over it. Could I have gone on? Yes, but not for long without being able fuel. Should I have started knowing I wasn’t well? Probably not, but sometimes it’s just nerves. It wasn’t all bad though. I met up with old friends, made new friends and met online friends. I ran a few miles with Naomi who had done so brilliantly in the race last year and saw her as she came through CP2 and I was waiting for my lift home. She was very sympathetic at my plight and went to hug me, then remembered I’d dropped out because I was sick. So patted me on the head instead. It made me laugh and made me like her more. I met Justin who had a great race ... up to mile 95 and who had to drop when his knee just refused to move like a knee should. Tinu, the inspiring and brave lady who is moving towards the 100 marathon club. Rodrigo on his way to the Grand Slam – 4 x 100 milers this year. 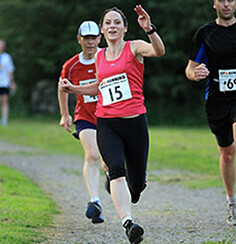 Louise, the ultra runner and parkrun tourist extraordinaire. Tony from Northbrook who had an amazing race and who has just discovered His Distance. Ultraboy owner of the most garish footwear and singer of West End musicals. Jilly the RMR ultra runner. Cat ultra legend. Rhianon who I always seem to see part way through races and Susie and Shaun, the MdS superstars and adventurers. Leila of Aid Station 1 who has made me look forward to Giants head Marathon more through her cider tales and Donna of Centurion who – despite the risk to upholstery and vehicle – gave me a lift to CP2. I hope your shin fractures heals quickly. And of course to Boo and Ash for putting me up for 3 days and being amazing. Thank you all. It would have been a lot worse without you. This post has turned into a babble. The positives, I have no injury and the only damage from the TP100 was to my pride. And my arse. Your daughter is so sweet. And I'm so sorry it turned out this way- you could totally do it, but your tummy just was not playing ball. Another day will definitely be your 100 day. Love the day's alternative title though! PS: Out of fueling info interest, did you identify any particular culprit, or is it a tummy based mystery? I had been snacking at the leftover buffet trolley - pure piggery - and wonder whether it was a rice thing I tried ... but I guess it could have been anything. It was definitely a bug of some sort though, was left with a very high max HR the week after. 5ks come up every week but a lot goes into prepping for a 100miler. Having a successful race relies upon so many different factors and you were just unlucky this time. Kev, who I often run with from my club unfortunately also became a DNF on the day. Lovely words from Lily. I hope you took her up on those kisses and cuddles! Having DNFed my first 100 miler about 60 miles after I should have dropped I can say that dropping early was definitely the right call and that your first 100 mile finish will feel all the sweeter. It was lovely to see you again, and I'm sorry it wasn't your day.